By far the most asked question in the Flower Industry is how to make a guaranteed profit. Here are 10 simple tips guaranteed to make your Flower Business profitable. 1. Don’t give your flower services away for FREE! To make a profit, you must charge for everything…Yes that means everything! When figuring out the price of your designs, you must charge for ALL flowers even the “I will just put in a few extras to make it look nice”, ALL supplies this means the container, floral foam, glue or tape and ALL LABOR. Time is money; do not give your time away for free. How much to mark-up for each design? A general rule is a mark-up of 3.5-5 but each shop will handle this differently due to the cost of living, size of the city, overhead, supplier prices and more. Remember a high-labor intense design costs more, not because of the cost of the flowers and supplies but because of the cost of designing! You are a floral artist! 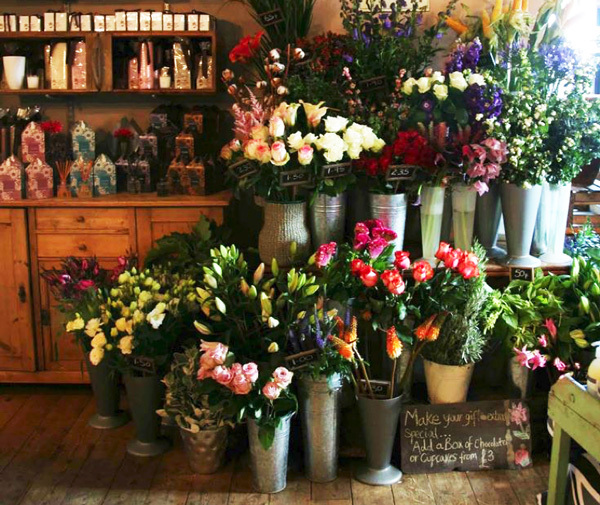 Never have only one supplier for your flowers and supplies. Yes, we all have favorite wholesalers however it pays to shop around. Research pricing from numerous suppliers on flowers and supplies can help you cut on costs before you order. Look into standing orders for your most popular flowers to cut down on cost. By knowing beforehand how much your flowers will cost for any arrangement, you will be sure to price them at a profitable price. But don’t get carried away by ordering too much this way. If you have to dump the flowers because you order too many, your profits will decrease. Sometimes it is better to pay a bit more by buying each week by not throwing old flowers away. Better pricing goes to your wholesaler’s best customers. How do you become one? Be loyal when you can. When you are ordering for an event or wedding, order early! When you give your supplier enough time to order from the grower earlier, you will save money. Yes, this can be a touchy subject to many and damaging to your profits. Start by looking at your wire service statement and calculate your flower cost, supplies, labor and time! Are you making a profit with these orders? Are these orders worth it? By adding simple items to your shop like home décor, candles, sweets, and such you can bring in extra profits without adding additional labor expenses. Remember to add these items to your website too for additional sales. Are there local artists in your area? How about displaying their items on consignment? You get extra traffic and profit and they get a place to display their work. Want to bring in new customers and revenue in slower times? Teach a class! 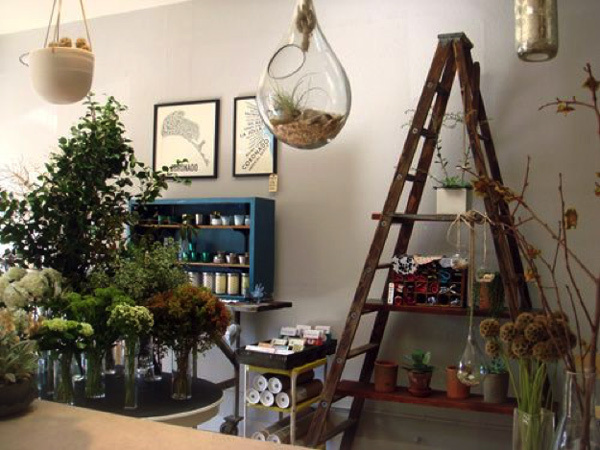 Floral classes are a fun and inexpensive way to increase your shop exposure and your profit. Executing one class a month can help bring in $500.00 or more in profit. Similar to the popular ‘Paint Nights,’ hosting workshops at local eateries and coffee shops are really popular in SoCal right now, check out ‘Brews and Blooms’ Facebook page for more ideas. 6. Would you like a box of chocolates with that? Are your employees UPSELLING? A general rule when shopping at large department stores or fast-food eateries is to UPSELL. To make your shop profitable, make upselling mandatory. “Upselling spells the difference between ‘just getting by’ and having a very profitable year,” says Dr. Jon M. Hawes, director of Akron University’s Fisher Institute for Profes-sional Selling. “Revenues from upselling are usually over and above a store’s break-even point, so the extra sales quickly turn into profits.” Retailers commonly enjoy sales increases of 20 percent or more when they start upselling, he says. An excellent way to ensure guaranteed income is to secure weekly flower deliveries. Work with restaurants, corporations or shops to deliver a fresh design each week or even service their interiorscape. All these can be billed on a monthly base and boosts your cash flow. Using web based advertising like Google Adwords can bring more people to your ecommerce site and to your store for just a few dollars a month. Adwords are without a doubt our number one, go-to for increase profits. Learn more from our Google Adword Blog Post. AdWords are a great tool for making your marketing automated; all you have to do is prepare your keywords, decide on your budget and let AdWords reach those who are seeking your services profitably. Yes, you can really rent your space for money! Have no time to do weddings; there are numerous reliable wedding flower designers who are looking to increase their business without the expense of a shop. You “rent” them an area in your shop, they have a work area, and you have the profit. Large DIY wedding population by you? Rent out your space to them as well. When it’s holiday time, make up a few different arrangements that are cost affection and not labor intense. Make these your holiday special designs and promote them heavily. By not making each design up individually, your shop will save on labor and flower costs. More ideas on generating profit for florists? Let us know in the comments below. I’m interested in the floral software! I’m interested in the floral software in making a profit in my shop.